Comfort is something we all seek in our lives. Honestly, who wants to be uncomfortable? I sure do not. Unfortunately, comfort can be the worst thing for us sometimes. Our body requires a delicate balance to maintain our daily living. Healthwise if anything is out of whack too much for too long, we will find ourselves falling ill. Consequently, we may physically interpret comfort as maintaining equilibrium. However, even in our comfort, we can physically throw parts of ourselves out of whack. Maintaining balance or equilibrium is not a static thing. I like to think of it as a quest in which we are always moving towards a goal, making adjustments, jumping through hoops. Think of our goal towards equilibrium like the game Temple Run (I know, I am taking it back). This is what is constantly going on in our bodies. Reaction after reaction to keep us moving forward. Comfort is the opposite of that. Comfort fools us and the difficult thing about it is there is some part of our brain that relishes in it and convinces us we need more of it because it is like a safe place. Let’s just look at this from a personal, physical perspective. 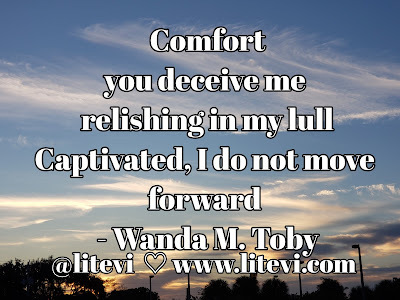 I am most comfortable when I am lying in bed, under my covers after fidgeting for a few minutes to find just the right spot; or when I am sitting on the couch in front of my television for hours, watching my shows. That is the ultimate comfort for me. If I did that daily for hours and hours on end, parts of my body would rebel. My muscles would shrink, I would gain weight, and other negative sides of living an overly sedentary life still would lead me right on down to the illness path. That is not moving forward. In other ways, comfort is like that. We need a little of bit of stress to run through so that we can be propelled to the next level of our lives. Remember the saying about “growing pains,” well life has growing pains. Life is about growing pains. 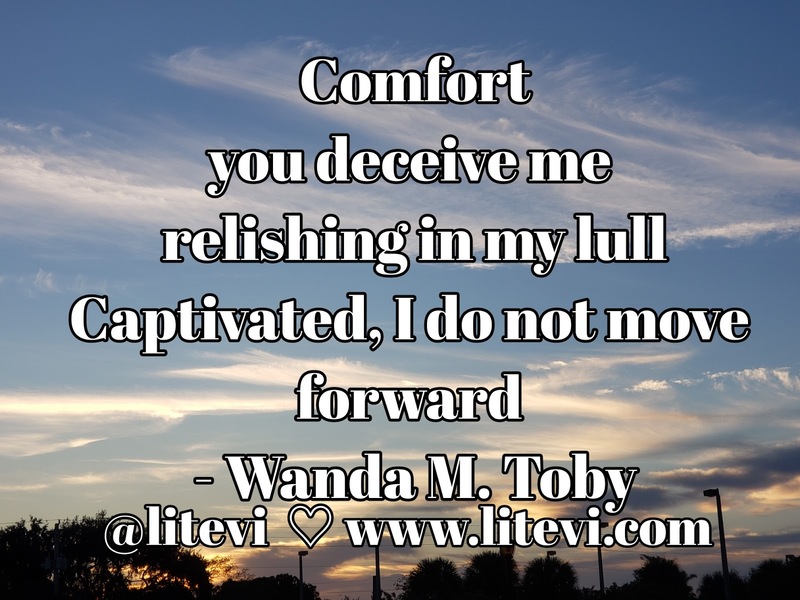 As much as we love to be comfortable do not get fooled into a static living. Stress is not the enemy when it is managed. Stress is a part of our life. Stress is the log to jump over or slide under. Stress is the bulldozer that you have to successfully dodge to keep going away. Comfort as great as it is will have you stuck in the same place, wondering what did I do with my life. Think of your life as a seesaw with stress on one end and comfort on the other and you in the middle- balance it out.